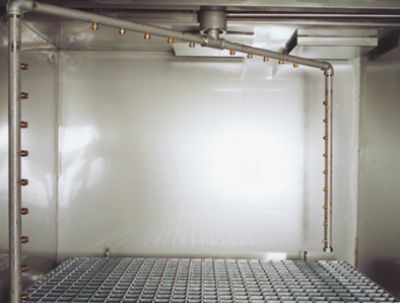 Cleaning system for large, unhandy parts and small series parts. 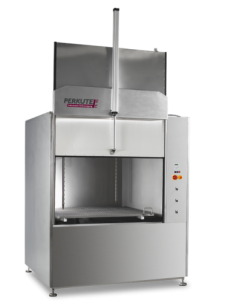 This PERKUTE cleaning system cleans simply and effectively with a very confined cleaning space. 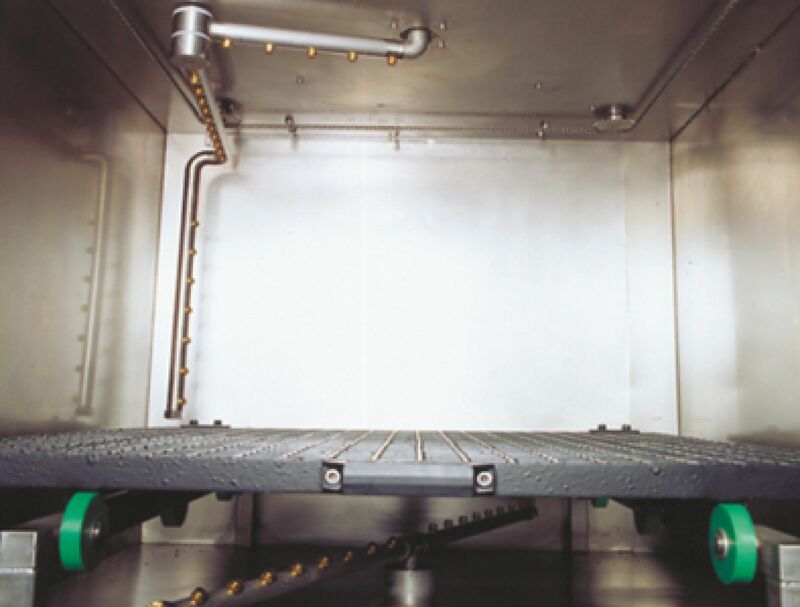 The machine is easily loaded by using either a crane or a loading carriage to place the items to be cleaned on the platform. 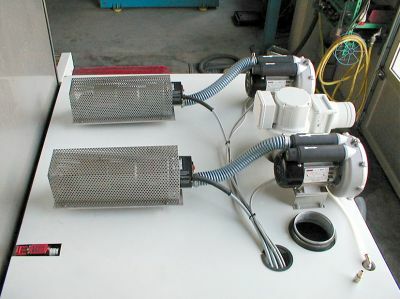 A noticeable feature of the FR cleaning machine is that it offers several simultaneous work process. Tank cover, filter basket incl. 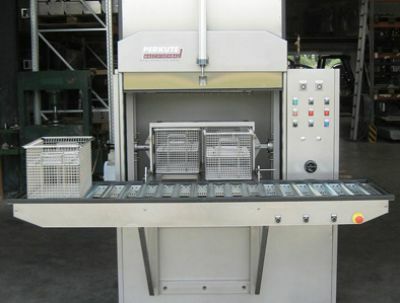 Clean-o-mat FR 90 drum facility and conveyor belt incl.